12 pm Meeting with a Russian family. This is a chance to see a typical Russian house, meet friendly locals and possibly even learn how to make a Russian meal. Lunch with a Russian family. 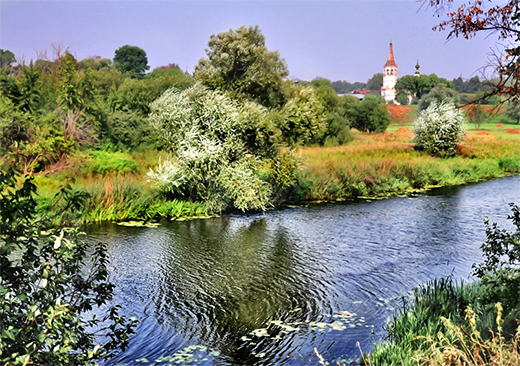 Besides rural views with the winding Klyazma river and vast meadows you might enjoy numerous countryside activities. 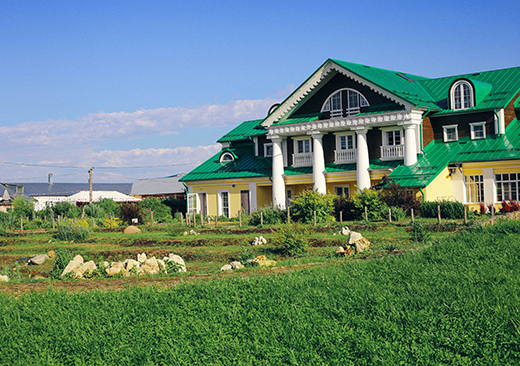 Guided tour of Bogdarnya including stables and farm animals. 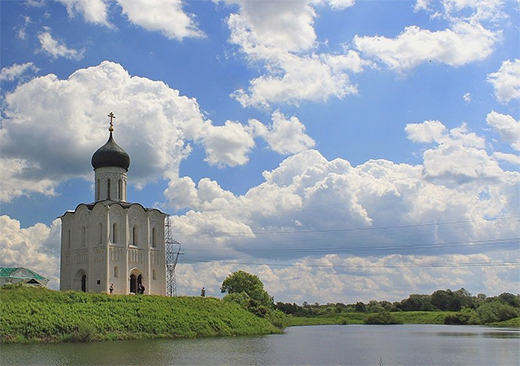 Driving to Bogolyubovo, where the famous Pokrova-on-the-Nerl Church of the 12 century is located among picturesque meadows. 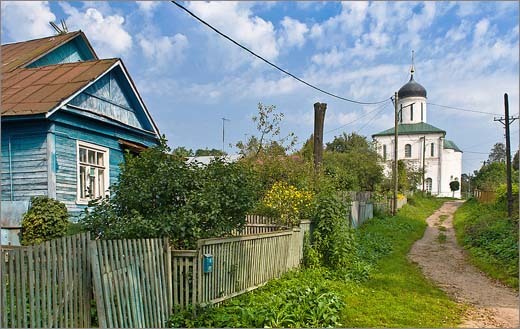 Sightseeing tour of Suzdal, which was once the capital of Rostov-Suzdal principality. This town is like a museum under the open sky; its medieval monuments can tell you its old story. 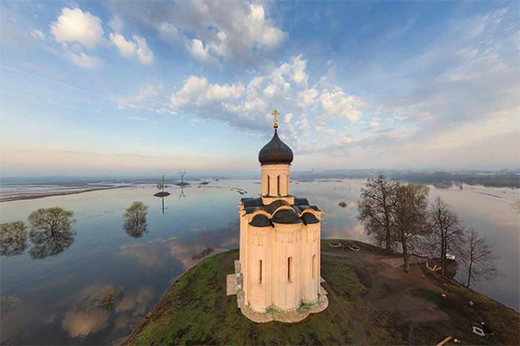 During the tour, you will visit the Museum of Wooden Architecture, famous for beautiful 19th century wooden houses of wealthy peasants, St Euthimius monastery (or Intercession Convent) where you can listen to bell ringing, Suzdal Kremlin and trading square where you can buy something from locals. The town is located at the confluence of the Volga and the Kostroma Rivers. During the tour you will visit the Ipatiev Monastery, once the shelter of Mikhail Romanov, the first tsar of the Romanov Dynasty. He was offered the Russian throne in 1613 thus ending the Time of Troubles and Polish Intervention in Russian. 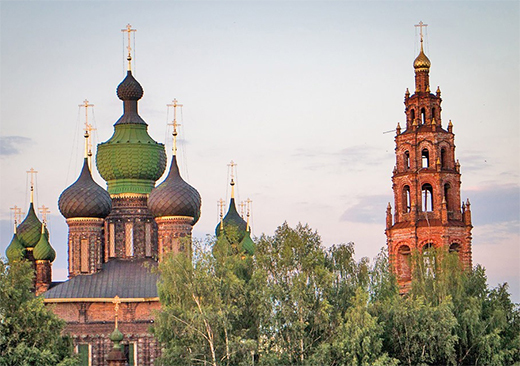 You will also see the Trinity Cathedral, known for its frescos as well as walk through the central part of Kostroma to admire 18th century architecture of provincial town. A visit to the Elk farm located not far from Kostroma. The tour will give you a chance to learn many interesting facts about the moose. 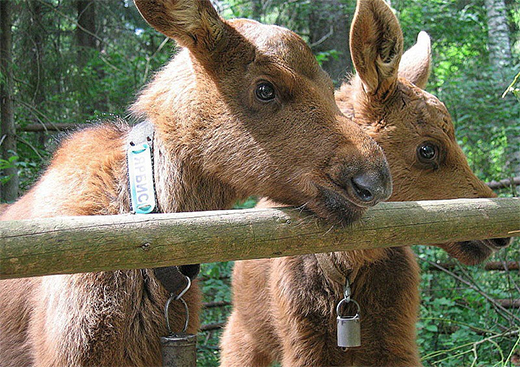 The guide will give you carrots to feed the moose and you may also go inside one enclosure where you can touch, hug, and take photos with the animals. the Church of Elijah the Prophet, masterpiece of Yaroslavl architects which can be visited only during the summer time. 1 pm Visit a local village and discover a unique museum of Russian dolls. You'll see its rare collection of dolls, learn about the life in a village, get involved in a doll making master class and have a Russia tea accompanied with pirozhki (Russian pastries). 4 pm Walking tour of Yaroslavl. You’ll the embankment to see the stunning views of the Volga river. During the tour you’ll experience Russian pryanik (honey cake) master class. This town is famous for some unique museums like Museum of Iron, Museum of Kettle, Botik Museum (This museum has the only surviving boat from Peter the Great amusement flotillia). You can visit one of these small and cosy museums. It can be added at extra charge upon request. 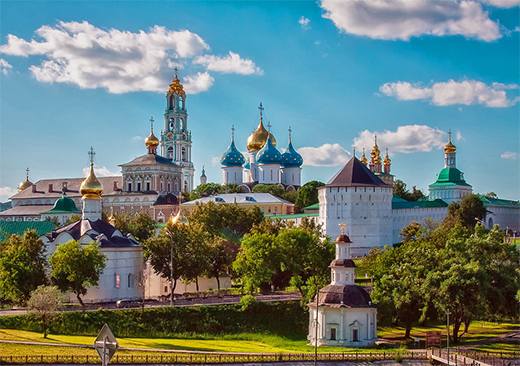 The town is famous for the 14th century Trinity Monastery of St. Sergius, one of the most important centers of the Orthodox religion and a major destination of pilgrims. 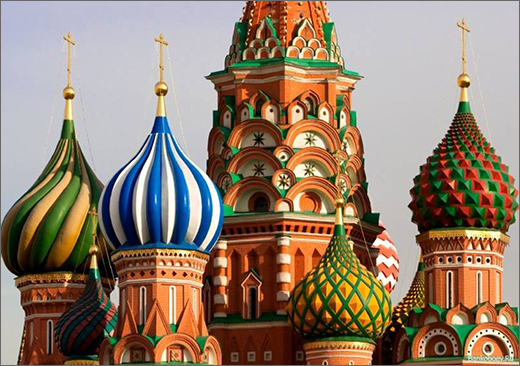 It was founded in the early 14th century by one of the most venerated saints of Russia St. Sergius. 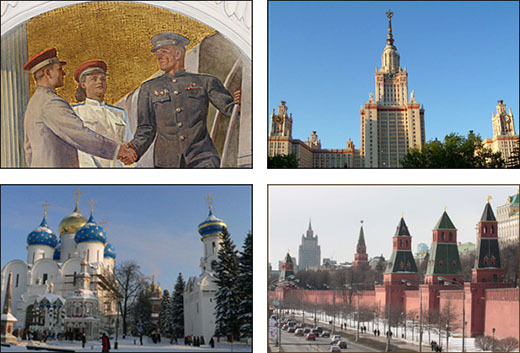 For centuries, Russian czars and common people set out on pilgrimage to the monastery. 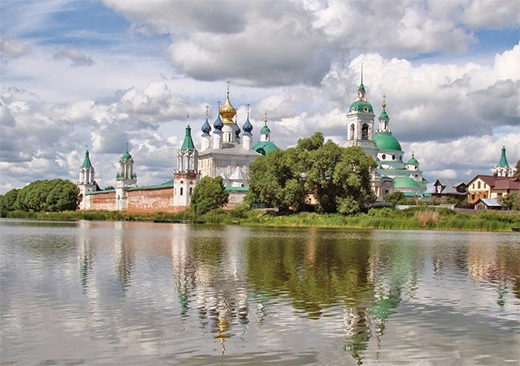 Even nowadays it remains one of the most sacred places in Russia, and it’s included in the UNECCO list of World heritage. Today the monastery houses a theological college, spiritual academy and an icon painting school. 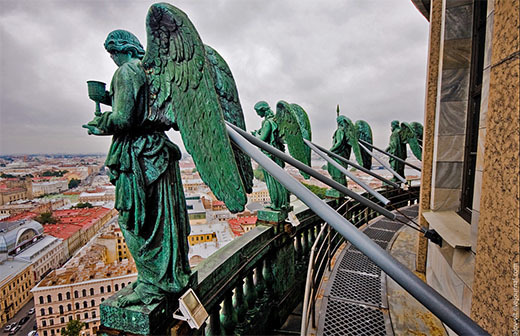 During the tour, you will see other fascinating buildings of the monastery. 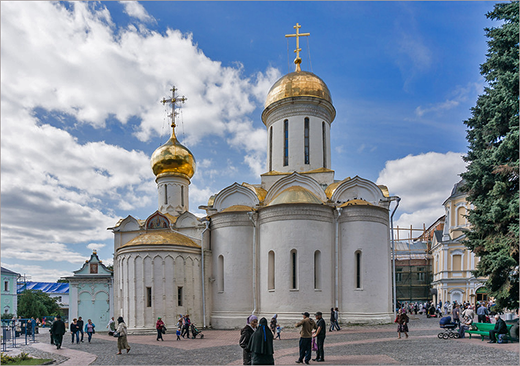 The Assumption Cathedral commissioned by Ivan the Terrible rises in the center of the complex. Its blue domes with golden stars are seen from afar. The elegant baroque bell tower was built in the 18th century. Today it houses the biggest working bell in Russia. The Chapel Over the Well standing nearby was built over a spring discovered in 1644. Optional visit to an old-style kitchenette where you will get to know early 20th century household items, try and see how they work, taste unusual food prepared from old culinary books and make caramel known as landrine. After the museum tour, you might enjoy lunch in the restaurant where meals from old-style recipe books are being cooked. Sergiev Posad is the birthplace of matryoshka, known in the west as the Russian doll. You can see some rare nesting dolls and other wooden toys and dolls in the town's Toy Museum (upon request) or do some matryoshka shopping in the market square near the monastery gates. Matryoshka painting master class might be added (at extra charge) upon request.